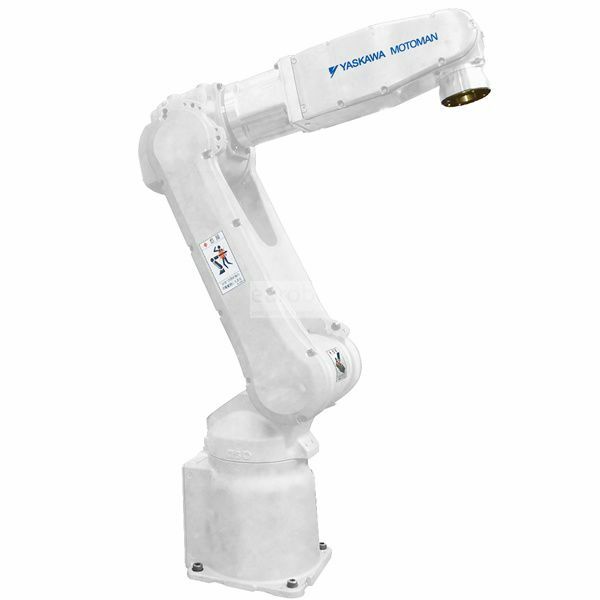 The MH5LS II robot with a lightweight and compact design with a load capacity of 5 kg and an arm range of 895 mm can be installed on the wall, ceiling or on a table. The shortened distance between the B axis and the T axis improves capacity load with high moments of inertia. They are suitable for a wide range of tasks, from the assembly of small parts to the packaging of high-speed boxes and arc welding.